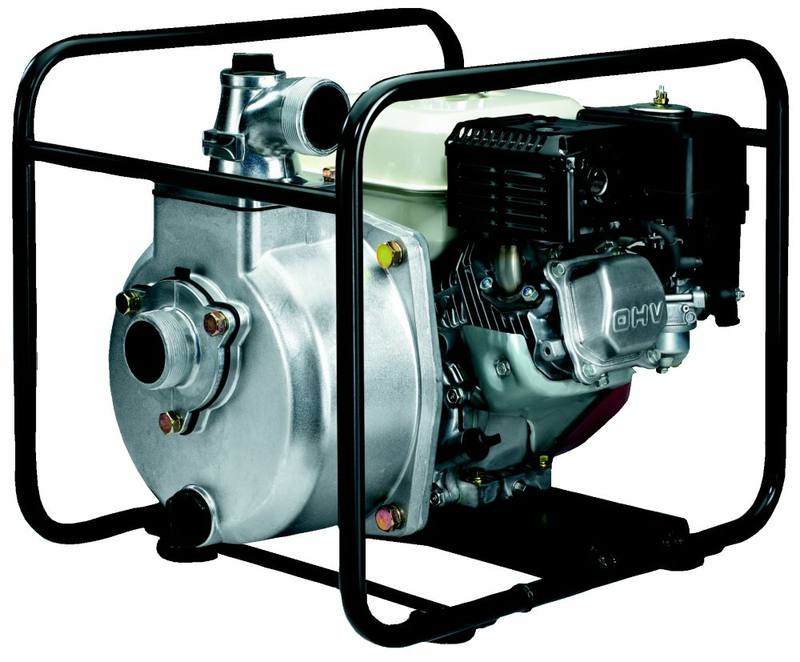 The Koshin SERH-50B high pressure pump is manufactured with a powerful Honda GX160 5.5 horsepower engine. It releases high pressure enabling you to power sprinkling systems, wash equipment, or any application that requires pushing water in long distances or to great heights. Maximum Discharge Head 187 Ft. The Hyundai HWP270 2 in water pump is capable of moving up to 467 L/min. The robust 212cc engine produces 7hp fed by a 3.6L fuel tank . A commercial grade cast-iron impeller and full size tubular steel frame are ready for the basement, pool, cottage or other applications. Features such as automatic low-oil shutoff and a 2 year limited warranty backed by a network of North American service centres protect your investment. The Hyundai HWP370 3 in water pump is capable of moving up to 967 L/min. The robust 212cc engine produces 7hp fed by a 3.6L fuel tank . A commercial grade cast-iron impeller and full size tubular steel frame are ready for the basement, pool, cottage or other applications. Features such as automatic low-oil shutoff and a 2 year limited warranty backed by a network of North American service centres protect your investment. High pressure pump - Powered by Honda GX160 engine The Koshin SERH-50B high pressure pump is manufactured with a powerful Honda GX160 5.5 horsepower engine. It releases high pressure enabling you to power sprinkling systems, wash equipment, or any application that requires pushing water in long distances or to great heights.